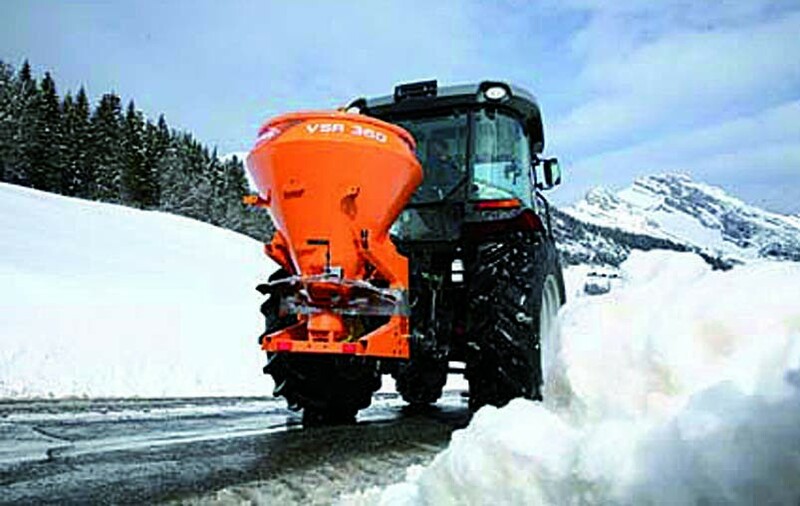 KUHN Amenity Pro offers a range of spreaders that provide the ideal solution to effectively manage winter conditions. To be effective means working quickly, while at the same time reducing costs and protecting the environment. When it comes to spreading, the versatile KUHN Amenity Pro range of spreading equipment pays off. The range of multipurpose spreaders can spread salt and grit in the winter as well as fertiliser and sand during the rest of the year. All KUHN Amenity Pro spreaders have the ability to spread precisely at constant rates, reducing product usage and costs. Winter conditions can be very demanding on machinery. The high build quality and use of many stainless steel parts ensure a long service life of KUHN Amenity Pro salt and grit spreaders. 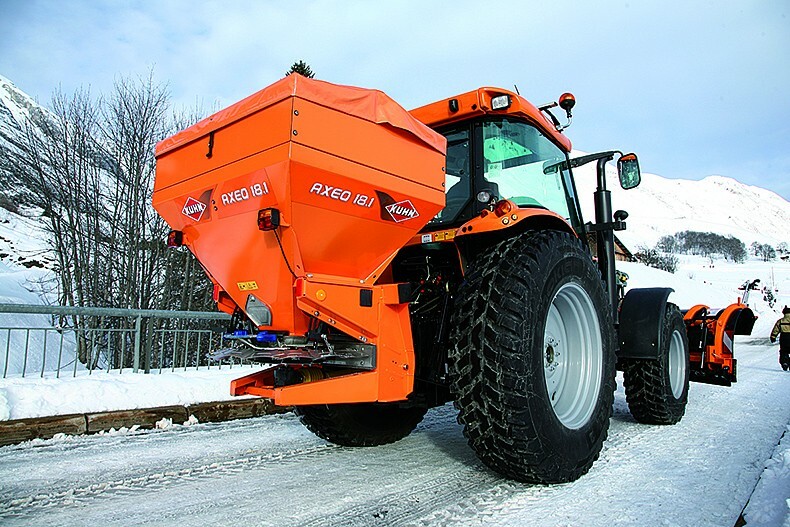 The K51 is a small and versatile spreader. In winter, the K51 spreads salt and grit on pedestrian areas, ensuring pedestrian safety. In spring and summer, apply fertiliser or sand on grassed areas. The K51 can either be hand pushed or pulled by a small tractor using the drawbar attachment included with the spreader. The VSA models are ideal for operators of small tractors, such as local authorities, golf courses, and maintenance contractors. Available in 250 and 360 litre capacities, with the option of PTO or hydraulic drive. The VSA models offer easy maintenance, robustness and a high build quality, utilising stainless steel parts in the spreading components these spreaders offer excellent value for money. AXEO spreaders are easy to operate, provide impressive capacities and you can adjust spreading manually or from the cab with the optional control box. The AXEO is a machine for professional users. Available in three models with hopper capacities from 250 to 1500 litres maximising spreading times and reducing fill stops, increasing efficiency. UKS universal spreaders are ideal for spreading salt, sand or grit down on to pedestrian walkways. The UKS is available in six spreading widths from 80 cm to 230 cm and can be front or rear mounted to a tractor as it is hydraulically driven. The hopper has steep sloping sides, the stirring rotor is made of a composite material and stainless steel metering units all ensure long service life and a regular flow of product from the hopper. The outlets are operated manually via cable or remotely via the optional electric cylinder.